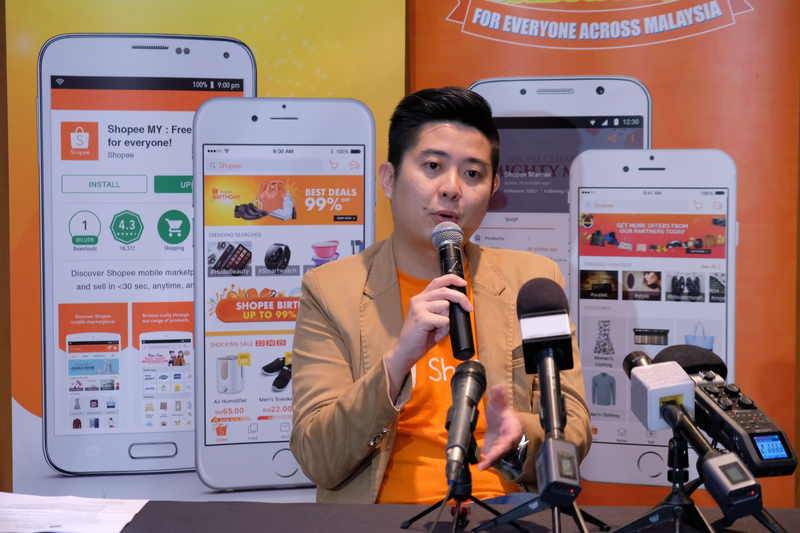 Shopee, the leading e-commerce platform in Southeast Asia and Taiwan, celebrates its anniversary with massive promotions across over 6 million products. As part of its birthday celebration, Shopee will be holding a birthday sale from 1 - 14 December. With over RM30 million pumped into pre-marketing activities, including Shopee Malaysia's first television commercial, digital billboard and train wrap advertising, and more; Shopee Malaysia hopes to have Malaysians from across all cities join in this mega birthday celebration. 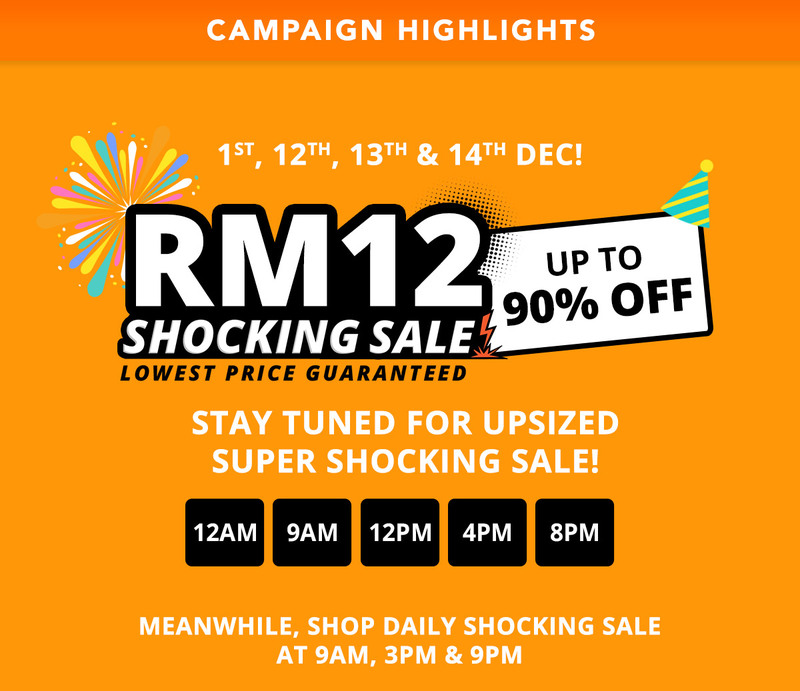 From 1 - 14 December, shoppers can look forward to Shocking Sale flash deals as low as RM12 happening up to 5 times a day, Upsized Mall Highlights, 12.12 Mega Deals, over RM500,000 worth of Beat the Clock vouchers to be won and many more exciting promotions. 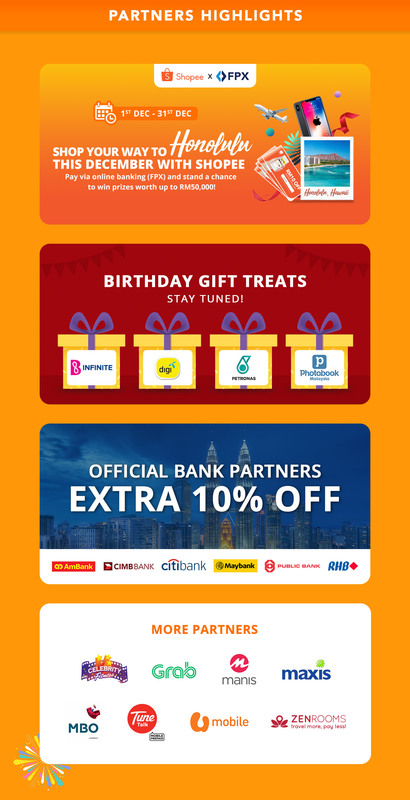 Official partners, including Maybank, CIMB, Public Bank, RHB, Ambank, Citibank, Petronas, Digi, Maxis, B Infinite, FPX, and Photobook will also be joining the celebration with their own exclusive promotions for Shopee users. Highlights include limited RM50 Digi accessories vouchers that will be going at RM12, and B Infinite's 1,212 B Points giveaway to 121 lucky buyers. 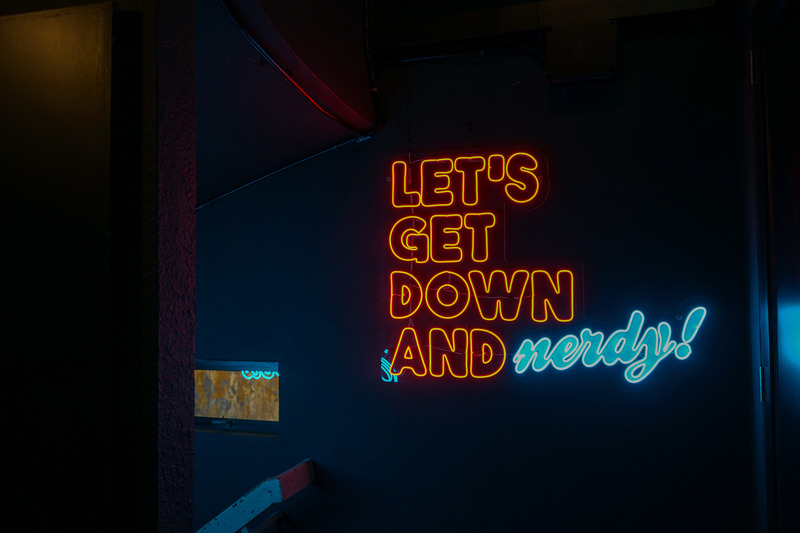 Attractive prizes will also be up for grabs, including a trip for two to Honolulu worth RM15,000 and an iPhone X worth RM5,500 sponsored by our official payment partner - FPX. To qualify, shoppers will need to spend a minimum of RM100 in a single order during the month of December 2017 and pay using FPX upon check out. To gear up to the Shopee Birthday sale, Shopee will launch a Birthday Frame Facebook Contest from 21 Nov - 12 Dec. Users can stand a chance to win the grand prize of an iPad mini 4 worth RM1,899 and 500,000 Shopee coins by uploading Shopee's Birthday Facebook frame on their own Facebook pages. Additionally, Shopee will hold a weekly cash giveaway of RM500 as part of Shopee's Snap & Win contest, from 21 Nov - 22 Dec 2017. Users can snap and share their Shopee purchases on Instagram, and one lucky winner will be selected each week.